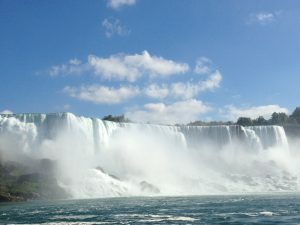 One of my limiting beliefs is that I get motion sick and I hate getting my hair wet (unless it’s in the shower), but I decided to be courageous and go on the outside deck of a boat into Niagara Falls. Words can’t describe the feeling of that experience: awe inspiring, exciting, very scary. It was all those and more and reminded me that the right experiences can change a long held limiting belief in an instant! Next was San Francisco with many sights but one of the most famous, The Golden Gate Bridge, was originally seen as an impossible goal, and no wonder, what an amazing engineering feat it is, as I looked at it, I couldn’t help but be inspired by Michael O’Shaughnessy and Joseph Baermann Strauss to have set and achieved such a goal against the odds. Onto Hawaii, my childhood dream, it’s not only stunningly beautiful but the people are genuinely the nicest I have ever met, I wonder if they have any limiting beliefs? And what an experience when flying from Kona to Honolulu. The quaintest airport ever! 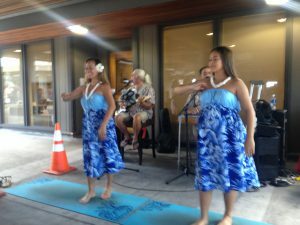 It’s all outside in the sunshine with a roof but no walls, a set of stairs to walk up to get onto the plane, and a band singing and playing Hawaiian music to entertain us whilst we waited for our (on time) flight and everyone was smiling! And last was Las Vegas – what a surprise, (ignoring the casinos), the buildings are amazing, the sunshine outstanding, the food good, the entertainment non-stop and the Hoover Dam story, motivating and moving, it’s well worth reading about. 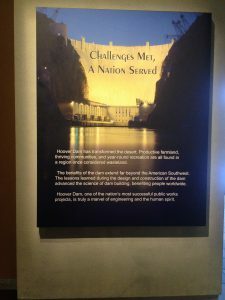 They have a placard in place in the museum, reminding the reader that building this dam was seen as another impossible feat. Thank goodness some people ignore other’s limiting beliefs! So why do I share this with you? Because this trip challenged some of my old limiting beliefs and helped created new empowering experiences. I got to fulfil a childhood dream, Hawaii, (well it was my honeymoon), travelled on a boat (3 actually) and wasn’t sick. Had my childlike curiosity reignited and got to see the power and beauty of nature up close and the achievements of human beings who’d created the so called impossible. It was a wonderful reminder that when we know what we want, (most people don’t know what they want but do know what they don’t want), make it real by creating a picture of it, challenge our limiting beliefs, find out who can help us, break it down into manageable steps and then take consistent and regular action, we can accomplish goals that maybe once we and others thought were impossible. It’s inspired me to set myself a new set of big goals. If you need any help with goal setting take a look at my online programme: week 4 is prioritising your goals, week 5 breaking down goals and week 6 working with beliefs. Try the course today for a limited time at ½ price!